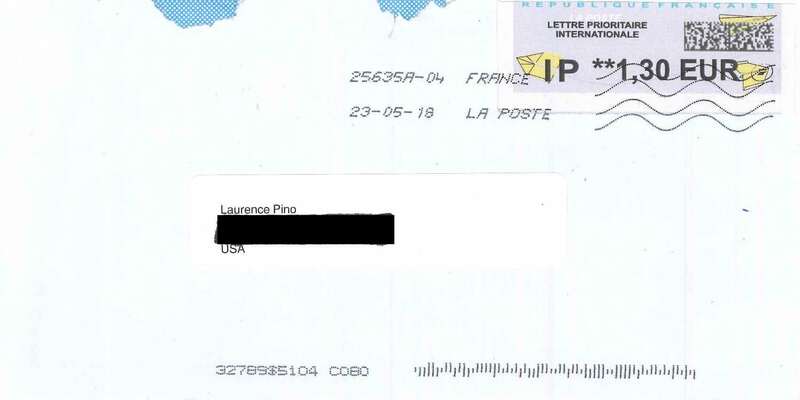 I am excited to share with you this personalized letter I received from Mrs. Paula Martinez of Barcelona dated May 14, 2018, along with the “personalized envelope” sent to my home. 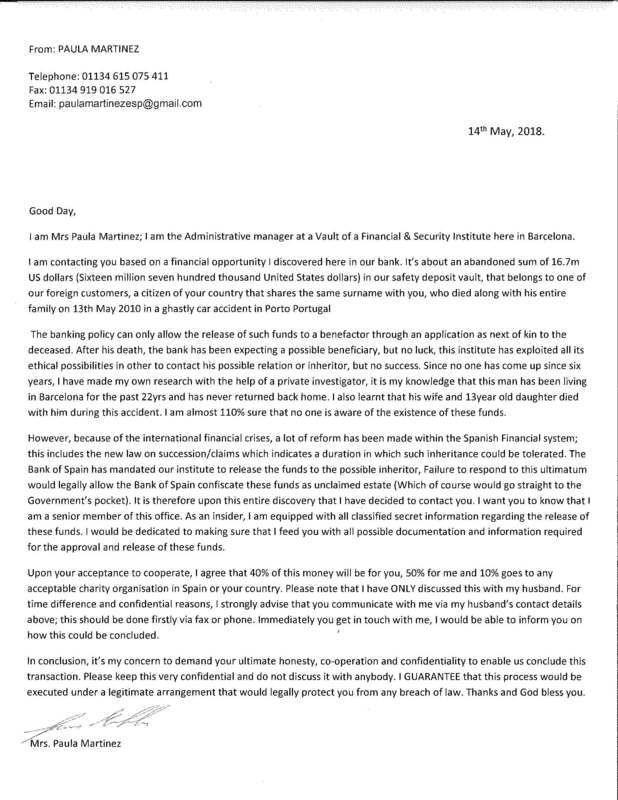 Apparently, as a result of a series of tragedies befalling an entire family sharing my same surname in a “ghastly car accident in Porto Portugal” on May 13, 2010, I appear to be the natural benefactor of some $16.7 million deposited in a safety deposit vault unknown to absolutely everybody, except for Mrs. Paula Martinez and her husband. I was so pleased with the news that I have the opportunity to collect some 40% of that amount with 50% going to Mrs. Paula Martinez and 10% going to a charity, that I simply had to share it with all of you who read my blog! Praises indeed! I would encourage all of you to communicate to Mrs. Martinez right away at her husband’s telephone number or fax, or email her at her Gmail account, letting her know how much you support my claim to this vast sum of money! ?